These chapters in 3 Nephi contain some of the most striking contrasts in all of holy writ. From the depths of destruction to the heights of Christ’s healing presence, these scenes give us pause to alternately weep in mourning and also in joy. As Latter-day Saints, it is our opportunity to see these events as precursors to the eventual Second Coming of the Lord to this earth. 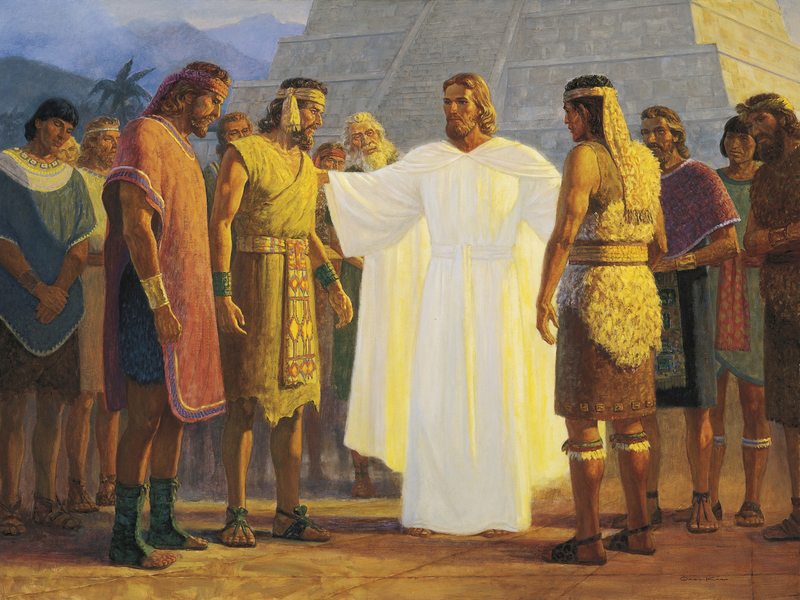 President Ezra Taft Benson said in this regard, “the record of theNephite history just prior to the Savior’s visit reveals many parallels to our own day as we anticipate the Savior’s second coming” (Ensign, May 1987, 4). What are some of the lessons we can take from this powerful part of the Book of Mormon that translate into our current lives? It is often said by members and non-members alike that they fear the Second Coming due to the prophecies concerning that “great and dreadful day.” Many ancient and modern prophets have spoken about this, but I find none more comforting than Nephi at the conclusion of his first book. Having just quoted the great Israelite prophet Isaiah relative to the rise of the righteous remnant in the last days, Nephi declares that the Lord “will not suffer that the wicked shall destroy the righteous” (1 Nephi 22:16). In fact, He will preserve the righteous by his power, even if it so be that the fulness of his wrath must come, and the righteous be preserved, even unto the destruction of their enemies by fire. Wherefore, the righteous need not fear; for thus saith the prophet, they shall be saved, even if it so be as by fire. For behold, the righteous shall not perish; for the time surely must come that all they who fight against Zion shall be cut off. And the Lord will surely prepare a way for his people. And the righteous need not fear, for they are those who shall not be confounded. 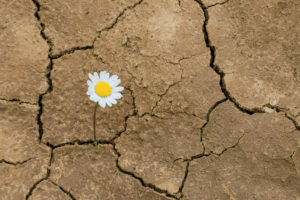 Yea, and in fine, all those who belong to the kingdom of the devil are they who need fear, and tremble, and quake; they are those who must be brought low in the dust; they are those who must be consumed as stubble; and this is according to the words of the prophet (1 Nephi 22:17, 19-20, 22). Notice how Nephi’s restatements of Isaiah are particularly specific to the cataclysmic events in America during the Lord’s first coming. Words like “quake,” “tremble,” “brought low,” and “burned as stubble” all typify the terrible destruction of the wicked chronicled in 3 Nephi 8 (see vv. 6-19 and 3 Nephi 9:3-10). An often-unmentioned detail among all this death and destruction is the fact that the “more righteous” were “spared” (3 Nephi 9:13). Just as Nephi prophesied about the last days, so in those terrible days attending Christ’s atonement and death were many spared and preserved by his matchless power. These were those whose awful howling is recorded in 3 Nephi 8:24-25 (also 10:8), and to whom the Lord’s voice penetrated during the three days of utter darkness. We can imagine that it was in much the same way that Alma and Amulek were delivered from the crumbling prison in Ammonihah. At that time, the walls of the prison were rent in twain, so that they fell to the earth; and the [wicked] were slain by the fall thereof. And Alma and Amulek came forth out of the prison, and they were not hurt; for the Lord had granted unto them power, according to their faith which was in Christ. And they straightway came forth out of the prison; and they were loosed from their bands; and they prison had fallen to the earth, and every soul within the walls thereof, save if were Alma and Amulek, was slain (Alma 14:27-28; see also the selective hailstones in Joshua 10:10-11). Later in 3 Nephi 11 we learn of many gathered in Bountiful around the temple (interestingly unmentioned in relation to the destructions of 3 Nephi 8-9). Is it possible that the temple was not in ruins? If this were the case, then the Savior’s reference to the building “upon my rock” would have had a visual witness in the temple edifice (3 Nephi 11:39-40; see he later references to the same in 3 Nephi 14:24-27; and 18:12-13). In either case, these teachings about building upon “my doctrine” by the Savior would have had poignant and powerful physical and geographical witnesses in their immediate surroundings. 1. They received the prophets (and didn’t stone them!). 2. They had not shed the blood of the saints. From these qualifications it should not be lost on us that the Lord is profoundly merciful. The “righteousness” required to have been spared at that time seems rather under whelming. Certainly this is not all that is required! The following directions of the Savior through the darkness and during his personal ministry among them illustrate the difference between merely surviving the calamity and being prepared to usher in the Savior’s millennial reign. We may add these to a list of requirements to be prepared for his triumphal return to the earth. “Return unto me, and repent of your sins, and be converted, that I may heal you” (9:13). “As many as have received me, to them have I given to become the sons of God” (9:17). “Ye shall offer for a sacrifice unto me a broken heart and a contrite spirit” (9:20). “How oft will I gather you as a hen gathereth her chickens under her wings, if ye will repent and return unto me with full purpose of heart” (9:6). “Whoso repenteth of his sins through [prophet’s] words, and desireth to be baptized in my name ye shall baptize” (11:23). “Father commandeth all men, everywhere, to repent and believe in me. And whoso believeth in me, and is baptized, the same shall be saved” (11:32-33). “Unto him will the Father bear record of me, for he will visit him with fire and with the Holy Ghost” (11:35). “Ye must repent, and become as a little child, and be baptized in my name” (11:37-38). “Therefore, go forth unto [all] people and declare the words which I have spoken, unto the ends of the earth” (11:41). It will be well for us to personally consider each of these divine directives today. It is in the context of these commandments that the Lord gives the Sermon at the Temple (3 Nephi 12-14). Perhaps there is an appropriate order to these teachings-requiring our repentance, baptism, receipt of the Holy Ghost and foundation upon this doctrinal rock before we can obtain the further righteous attitudes and actions given by the Savior in the following chapters. Of all the creations of his hands, the Lord called upon a mother hen to symbolize his great saving work in the atonement. In 3 Nephi 10:4-6 Jesus refers to the loving safety of a mother hen’s outstretched arms three times. A few years ago, a colleague of mine at Idaho State University related one of his student’s experiences that help illustrate this mother hen symbolism. The student, a young man, had been helping inspect some fire damage just outside of town from a recent blaze. As he and the others volunteers were assisting one of the inspectors, they noticed several smoldering mounds across the scorched earth. Intrigued, he asked the inspector what these were. The inspector replied that he should kick one of the piles. He did. To his great surprise several baby Sage Grouse chicks ran out from under the upturned mound. He was fascinated. How ingenious he though, these little chicks had known to run underneath this refuge. The young man asked the inspector how the chicks knew about this natural shelter. To his amazement, the inspector replied that they were not natural at all; instead this smoldering heap was none other than the remains of their mother. The inspector continued to explain that when a fire breaks out the mother hen calls out to her young ones and stretches out her arm so that they can run inside to her protective embrace. The young man was profoundly moved by this mother’s loving and sufficient self-sacrifice. How fitting that the Lord would personify the mother hen in his words to the Nephites and Lamanites. How perfect is this example for us today! “O ye house of Israel whom I have spared, how oft will I gather as a hen gathereth her chickens under her wings” (3 Nephi 10:6). Elder Neal A. Maxwell has offered a wonderful explanation of the sacrifice required by the Lord. He writes, “the real act of personal sacrifice is not now nor ever has been placing an animal on the altar. Instead, it is a willingness to put the animal that is in us upon the altar-then willingly watching it be consumed! Such is the “sacrifice unto [the Lord of] a broken heart and a contrite spirit (3 Nephi 9:20)” (Elder Neal A. Maxwell, Meek and Lowly, 94). Is it not when you and I decide to and do “give away all [our] sins to know [him]” (Alma 22:18) and come unto him to be “converted, that [he] may heal [us]?” (3 Nephi 9:13). Elder Howard W. Hunter confirms that it is only when we come unto Jesus, offering all that is un-Christ-like in us upon the personal altar of sacrifice, that we may truly live. “Whatever Jesus lays His hands upon lives. If Jesus lays His hands upon a marriage, it lives. If He is allowed to lay His hands upon a family, it lives” (Ensign, October 1979). Allowing the Lord to place his hands on us, what a thought! And how is it done? Practically it occurs when we ask those holding the Lord’s priesthood to bless and administer to us as the Lord organized and directed for in 3 Nephi 11:18-27. Figuratively it can occur in prayer, fasting, and feasting upon his words-ancient and modern. It is our wonderful opportunity to prepare for that literal moment in some coming day when like these ancient American Hebrews we may joyfully “thrust [our] hands into his side, and feel the prints of the nails in his hands and in his feet” (3 Nephi 11:15).